Estella Bissette was a seamstress, working with her mother at the atelier in Paris. It was all she had known, having grown up with a needle in her hand and her mother’s fashion by her side. 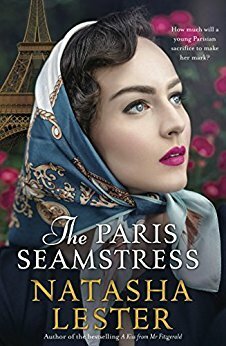 But Germany’s approach on France in 1940 saw Estella flee the only home she’d known, heading to Manhattan on the SS Washington – the last American ship to leave French waters. When Fabienne Bissette arrived in Manhattan from Sydney for the Gala of her grandmother, Estella’s work in 2015, she was once again shocked at how her grandmother had aged. Ninety-seven years of age, she was frail – but her strength of mind and love for her granddaughter shone through. But the recent death of her father had made Fabienne realise there were things she didn’t know about her family history – about her grandmother’s past. Would Estella explain it all to Fabienne? Or was it destined to remain in the past? What can I say? This is a deeply emotional book which is heartbreaking, while being filled with courage and love; of secrets that were necessary during the German occupation of France – I don’t think I have ever read a book so profound and which made me feel so much. 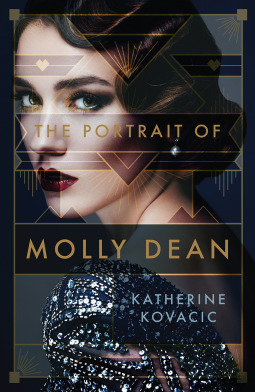 An outstanding novel which just makes me say to the author – Bravo! A 5 star recommendation. With grateful thanks to Hachette AU for my ARC to read and review. Detective Dave Burrows’ first posting to the far West goldfields town of Barrabine holds everything he’s looking for but Melinda, his wife of two weeks, is devastated at leaving behind her family, friends and career. More comfortable in heels than RM Williams, Melinda walked away from her much-loved job in the city as a paediatric nurse to follow Dave into the bush. Fleur McDonald’s bestselling rural storytelling makes Fool’s Gold, the first book in the Detective Dave Burrows series, a compelling and exciting beginning. Only two weeks since their wedding and Detective Dave Burrows arrived with his wife Melinda in the small outback goldfields town of Barrabine in Western Australia. 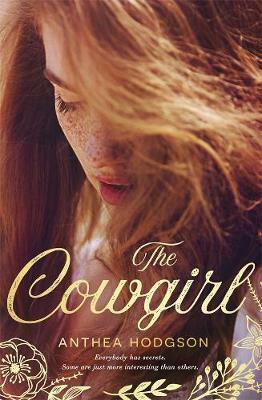 The dust and sparse landscape looked inviting to him, but Melinda was a city girl. She’d resigned her position as a paediatric nurse at a Perth hospital and Dave hoped she could get another at the local hospital. He hoped she would settle in and make friends before too long. Dave enjoyed the camaraderie with his partner, Spencer and the other members of the force at the small station – he was to find the friendliness of the locals was normal; apart from those who wanted to avoid the cops. But the local prospectors were a crusty lot, and gradually Dave met them all. It was the day one of those miners called the station to report something suspicious that found Dave investigating a far more sinister occurrence than the normal small crimes of Barrabine. Would Dave discover the answers to the strange events happening in the area? There were secrets, he knew that, but uncovering them might be more difficult than he realised. 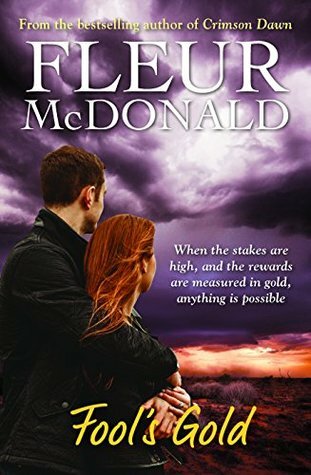 Fool’s Gold by Aussie author Fleur McDonald is another excellent romantic suspense novel which I loved. And with this being the 1st in the Detective Dave Burrows series, it is set in 1997 as it tells his story, taking the popular detective back to his beginnings. I first met him in Sapphire Falls and then again in Suddenly One Summer. I’m loving going back to when he started in the force as he gets involved in the intense and gritty crimes of a small community, and very much looking forward to the second in the series. Highly recommended. With thanks to Allen & Unwin AU for my ARC to read and review. This is a book that will appeal to travellers and readers alike. Arm chair travelling is one of my favourite past times and Patrick Rogers has taken me on a journey that has filled me with awe. 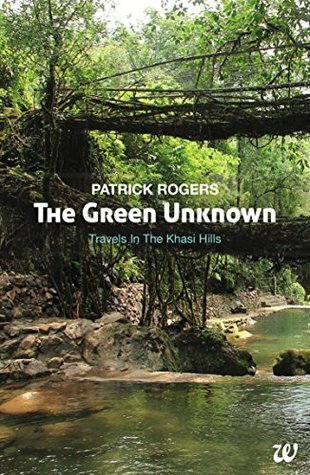 This is a very personal account of Patrick’s travels as he explores remote, tropical jungles searching for evidence of living tree bridges. Written with passion, humour and respect for the landscapes that he explores (both societal and physical), you will love the frizzon of excitement you will get when accompanying Patrick on his adventures. Wishing you safe travels Patrick.